A few of my athletes have asked my opinion on bone broth. This current food fad promises weight loss, glowing skin, and a healthy GI tract. I have put my plant based bias to one side and looked at the research. To make it quite clear there is nothing new about the idea of bone broth (or stock). Around the world, chefs and home cooks have been using the feet, knuckles, tendons and bones from poultry, beef, pig and fish to create broths for centuries. Broth has always been considered a "healing food", especially if you consider the timeless tradition of having chicken soup when you're ill. The list of "magical"benefits of having broth has grown over the past couple of years and many of my athletes and physio clients have asked me my opinion. As a whole food plant based vegan I haven't even considered it (reducing decision fatigue is one of the many benefits of my chosen lifestyle). The idea that consuming the collagen, marrow, and broth of cooked animal bones helps overall health is dubious. Many scientists agree that the bone broths ability to heal and restore collagen is properly overstated. There is precious few studies showing health benefits, and there is many ways of preparing broth (different types of bones, different animals, different added ingredients, and varying cooking times). Animals and humans often store toxic lead within bone minerals. In 2013 scientists* measured the levels of lead in a broth made from the bones of organic chickens. The broth was found to have high lead concentrations compared to water that was cooked in the same cookware. If you are consuming commercially made bone broth or powders make sure it has been tested for lead. It's also important to note that humans can't absorb collagen. The nutrition derived from the broth is due to enzymes breaking down the protein into amino acids (as they do with plant sources) and then reformatting them to make up proteins dictated by the activity of our DNA. Also it's worth mentioning that the vitamins and minerals that the broth do contain can be denatured by the cooking methods making them less useful to the body. Two positive aspects of consuming broth (especially chicken) is that there is a study (published in 2000 in the medical journal Chest) showing that it is helpful to the immune system, and it can be used as a post exercise recovery food to help with amino acid and electrolyte replacement. The LA Lakers a couple of years ago were promoting bone broth as a recovery food. The human body requires Vit C and the amino acid lysine to form collagen for healthy skin, blood vessels, and organs. Human beings are unable to make both of these components so we need to source them from our diet. Dr. Linus Pauling (2 x Nobel Prize winner and biochemist) theorised that coronary artery disease and aging were due to the defecincy of both Vit C and lysine. 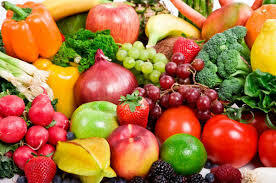 Not having adequate amounts of these results in poor skin structure, organ health, and weak artery walls.# You are able to get all the Vit C (citrus, fruits, vegetables)and lysine (legumes, organic soy products) from a well balanced plant based whole food diet. As usual there is too much focus on just one aspect of diet. There is not one magic food or one magic ingredient that is a "cure all". Bone broth as part of a balanced plant slanted diet will probably do no harm (check for the lead concentrations thou). It is not some source of miracle food that it has been hyped up to be by many. To work on health and vitality for outside appearance and inside health a whole food plant based diet still ticks for boxes from the studies I have read. *J.A Munro et al, "The risk of Lead contamination in Bone Broth diets," Medical Hypotheses, no.4 (April 2013) : 389-90. # J. Cha et al, "Hypoascorbemia Induces Arterosclerosis and Vascular Deposition of Lipoprotein (A) in Transgenic Mice," American Journal of Cardiovascular Disease 5, no. 1 (March 20, 2015): 53-62.